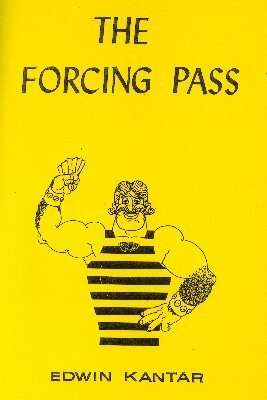 This book is the outgrowth of a series of articles on the "forcing pass" which Eddie wrote for the American Contract Bridge League Bulletin, appearing from June 1982 through June 1983. He completely reworked and revised it in 2006. While these articles were appearing, Eddie took special note of hands on this subject. As he was dealing with uncharted territory, it is not too unusual that he has altered many of his original opinions. Eddie is now satisfied that a partnership utilizing the methods advocated in this work will have a decided advantage over a partnership which has no understandings. Eddie knows that just talking them over with his regular partner, Billy Eisenberg, has given them a better feel for the game. 1st edition, 1983; 2nd revised edition 2006; 61 pages.